Have any of you seen the documentary about Mark Twain by Ken Burns? It's almost four hours long and will bring tears to your eyes and a great deep appreciation and admiration for the great American writer and traveler, Mark Twain. I saw it a while ago and was awestruck. It is the BEST biographical documentary I've ever seen. Ken Burns is an award winning documentary filmmaker of American history. 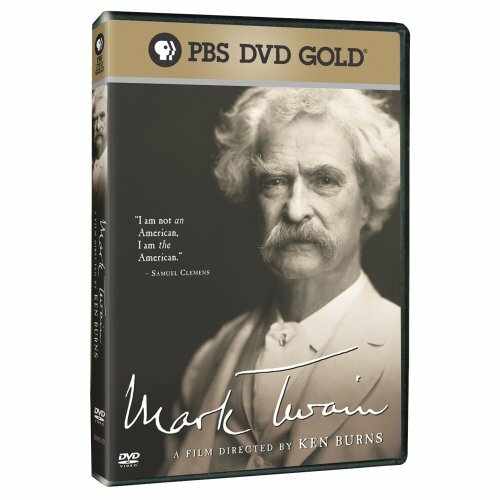 His documentary on Mark Twain is an absolute must see for history fans. And it will touch you deeply. It shows Twain's innermost thoughts and the triumphs and tragedies of his life in a moving and profound way. It chronicles his many trips abroad too during his wanderlust years and also during his marriage. I've never seen a biographical documentary as good as this one. It's like a masterpiece of art. You have to see all four hours of it to understand what I mean. The last hour will bring tears to your eyes. Tears of sympathy, admiration, and appreciation. You will feel like you personally knew the man after you've seen this. The whole thing was up on YouTube. But it got taken down. I was about to post the links. Darn. But you can download it on Torrent. Or buy it on Amazon.com at a very cheap price. Here is the link to it on Amazon.com. As you can see, all the reviewers there felt the same way about it as I did. In less than 4 hours, Ken Burns was able to capture the heart and soul of an incredibly complex man. After watching this, I felt like I knew Mark Twain as if he was my favorite uncle! I have watched many biographies of American authors but none come close to this, NONE. My favorite author of all time is F. Scott Fitzgerald and not one of his many audio visual biographies can touch the completeness and depth that has been carefully devoted here to Twain. In the 3+ hours of this presentation I laughed outloud, and was moved to tears, outraged, entertained, and educated by this telling of Twain's life. There is no way it could be better or more complete and I defy any lover of Twain, or literature in general, to feel differently. Go to your local library and borrow it first, once you see it, you will insist upon owning it...truly. "An original biographical tribute to Twain, an extravaganza of singing, acting, and dancing." 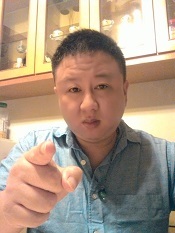 There will be a better one in the future about Mr. Wu. Wow check out the reviews of this documentary on IMDB. There are only 5 reviews but they all say the same thing as me. If you like history, you will be in awe of this masterpiece. It will move you in deep ways. He was a great and inspiring man. The life of Mark Twain, whose real name was Samuel Clemens, is a totally fascinating and moving story. He hated and spoke out against slavery and was a supporter of full adult suffrage. He was the first American to write in the vernacular and to write a sympathetic and well-developed portrait of a black person: Jim in Huckleberry Finn. He sponsored a struggling black man through law school, who later became the mentor of Thurgood Marshall, who was the first black American Supreme Court justice. Clemens struggled with depression; he was a man of constant sorrow; humour was what kept him from killing himself. He was born into modest circumstances, became wealthy and even became obsessive about it, to the point that it interfered with his writing. His dabbling in investments was a complete disaster; it ruined him financially. He moved in the circle of the elite but was a powerful and outspoken opponent of all that was wrong with society. Since he included himself in that group of wrongdoers, he was accepted by them as a sort of group conscience. As usual, Ken Burns has made another great documentary. The pace is moderate, the narration is excellent and often very moving, the talking heads are brief and concise and the mood is sincere. After two viewings, it is still on my list of films to see. The story is amazing! Samuel Clemens was the epitome of "The American Dream": rising from poverty and a wild lifestyle to great wealth and respect; forging a marriage, based on strong and abiding love; loving his family above all else; gambling on investments and the subsequent financial ruin; recovering by hard work (although legally bankrupt, he still paid off all of his debts); bouncing back after each one of more tragedies than any man could expect and, most of all, honesty, integrity, charity and the deepest understanding of what is means to be human. In all this, he was unique in the world. He was a great and inspiring man. This is one of the finest films I have ever seen. And I have watched it over and over. One comes away awed that one man could have endured so much sorrow and been able to translate it in a way other people could learn from, sometimes through laughter. Ken Burns is a treasure. He has given us a well rounded picture of a gifted man who was all too human. Could one person have lived his life more fully than Samuel Clemens? This is a fascinating study of a writer I knew little about and now will honor whenever I hear his name. Mark Twain was not afraid to write about ugly things, evil things, but wise enough to do so in a manner that lead the reader deep into the subject before realizing the truths he met along the way, and by then it was too late. The reader learned something about slavery or how one group of people treats another or about human nature that he had not intended to learn. This film is a masterpiece and worth viewing often. 212 minutes....wow! Yet, I wouldn't cut out a single part of it. At 212 minutes, you really can't complain that this biography was too brief! There are just so many layers to Mark that you never think you know him completely. But, if seeing something this long seems daunting, just remember that it's a film by Ken Burns and he has the knack of being able to make anything exciting and keep your attention--even at over 3 1/2 hours in length. The film is, for want of a better word...perfect. Using Burns' familiar style, the film manages to give a full account of Twain's life and fill the viewer with great admiration. As, although he was a flawed man (his financial woes were all his own doing), he was a brilliant humorist and critic of modern life--with a surprisingly harsh and insightful view of civil liberties that were FAR ahead of his time. He was an anti-colonialist, supporter of women's suffrage and defender of the rights and nobility of all races--things most folks today probably don't even realize, as they think of him just as an author. Yet, throughout all this, he seemed racked with a sense of melancholy--and it's amazing that he was able to sum up the energy to deal with life, as it was THAT debilitating. And, in his later years, he seemed to completely give way to depression--yet kept writing and was very productive. See this film---you won't regret it. It really does a great job of summing up the man and is among the very best things ever created by Ken Burns. SEE THIS FILM! Typically emotional and reverential Ken Burns biography, featuring the usual display of wonderful vintage pictures and discreet music and sound accompaniment, as well as professional line-readings and commentaries. Twain's interesting life alone and all the anecdotal plentifulness of Burns's script guarantee three-and-a-half entertaining hours, but as a documentary about such a witty and sagacious writer, this feels too conventional and tame in style and presentation, hammering home some of its notions about Twain's inner conflicts too repetitively. It's still quality work, though. To call him a great American is to limit him. He is a citizen of the world, read in every country, more American than anyone else, yet more critical of his country than most. I will never forget how mother read Tom Sawyer to me in German, in a park in Montevideo, Uruguay, when I was only nine, and how I couldn't stop laughing at the funny way the characters talked. I was convulsed with laughter, one of the first big laughing fits of my life. Alas, as I grew up, I lost interest in fiction. But Twain is more than a writer. He is a character with flaws and all. His taste for luxury is disappointing. To coin an aphorism: How sad that people born in log cabins, don't want to live in them! It is heartbreaking to see Twain sink into debt and his family separated by penury. And one also wonders how much Huckleberry Finn owes to Uncle Tom's Cabin. Why not a big documentary about Harriet Beecher Stowe? Was she less of a writer? Check this out. Did you know that Benjamin Franklin, one of our Founding Fathers, was HAPPIER ABROAD too? See the 3 hour documentary below that chronicles his life and many amazing inventions and accomplishments in many areas. He was a great inventor, scientist, publisher, writer, poet, philosopher, statesman, civil leader, successful in business (from rags to riches), diplomat, ambassador, and big flirt with women too. And he founded many organizations and established the first lending library in America. I've never seen a single man with so many accomplishments in so many areas. He was also probably the most brilliant intellectual of Colonial America, so he found no intellectual stimulation in America. That's why he preferred being in Europe and found it more intellectually stimulating. After he retired from business, he spent most of his senior adult life overseas in Europe, away from his wife. Before the American Revolutionary War, he spent a total of 17 years in London and England. Then during the American Revolutionary War, he lived in Paris for 8 years and had a blast there. During his time in Europe, he hung out with intellectuals, writers, philosophers and scientists, while flirting and charming aristocratic women, who found him to be a charming ladies man. (That sounds like the kind of thing that I would do lol) He had close friendships with aristocratic ladies and friendships with many intellectual men. He clearly was happier in Europe and was a celebrity there. Here is the three hour documentary that chronicles all this and his life from 1706 to 1790. It's very good and will instill you with a deep admiration for Benjamin Franklin and his many talents and accomplishments. That must see Mark Twain documentary by Ken Burns is now on YouTube. Better see it for free while it's still up. These documentaries do not always stay up. This is the most touching biographical documentary I've ever seen. Will bring tears to your eyes at the end. Here are parts 1 and 2. Our religious figures never existed?